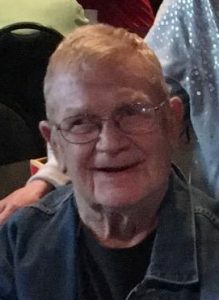 Don Pollard, 77, of Schuyler, died Saturday, January 6, 2018, at his home. Funeral Service Wednesday, January 10, 2018, 2:00 P.M.
Visitation Tuesday 4-7 P.M Wednesday 12-2:00 P.M.
Donald E. "Don" Pollard, 77, died Saturday, January 6, 2018, at his home in Schuyler. Don was born September 12, 1940, at home in Schuyler, to Lloyd and Lillian (Noha) Pollard. He attended Schuyler Schools and graduated from Schuyler High School. On February 23, 1963, he married Jean Bohaty at Ss. Peter and Paul Catholic Church in Abie. They lived in Schuyler and Don worked for Milford Lueck in the plumbing business and later became owner and operator of Schuyler Plumbing. He served on the Schuyler City Council, was Mayor of Schuyler from 1968-1970 and then served on the Board of Public Works for over 35 years. Don loved horse racing and he and Jean vacationed over 30 years in Mazatlán, Mexico where they made many lifelong friends. Don is survived by his two daughters; Penny (Matt) McCurdy of Fremont, Connie Svoboda and Dan Linke of Park City, Kansas, one brother, Joe Pollard, Fremont, 3 grandchildren; Emily (Sam) Barg of Omaha, Meghann McCurdy and Colton McCurdy, both of Fremont, as well as many nieces and nephews. He was preceded in death by his parents, wife Jean, and four sisters; Marguerite Svoboda, Dianne Pollard, Betty Marxsen and Pat Mohler.